Michele Bambauer graduated with a B.S. in Education specializing in elementary (1-8) and special education (K-12), a Master’s Degree with the emphasis on early childhood (Pre-school to 3rd grade), and earned her supervision and principal license from the University of Dayton. In 2016, Michele graduated from the University of Toledo with an Education Specialist Degree. She has co-taught in a general education setting, resource room, and segregated classroom for students with behaviors as an elementary teacher. A majority of her 15 years within the classroom was as a pre-school intervention specialist, classroom, and itinerant teacher. During this time, Michele was recognized as a National Board Certified Teacher: Exceptional Needs Specialist/Early Childhood through Young Adult. Part of Michele’s responsibilities was partnering with community partners to offer Family Engagement Nights, provide professional development, and assist with leadership tasks. Michele joined the staff of State Support Team 6 in 2012. Mike Epperly graduated with degrees in Music Education, Elementary Education, and Educational Leadership. He taught at all levels K-12 in instrumental and vocal music over the course of 26 years. Mike was a principal at an elementary school for 4 years, in which he facilitated structures of the Ohio Improvement Process (OIP) in the building. He began his work with the State Support Team in the fall of 2016. Tiffini Flugga graduated with a Bachelor of Science in Education specializing in Middle Childhood Education and earned her Master’s in Educational Leadership. She has experience teaching 6th- 8th grade students in the state of Florida in the subjects Intensive Reading, Language Arts, and Advancement Via Individual Determination (AVID). She has co-taught in the general education setting as well as a segregated classroom for students in need of behavioral and academic interventions. During this time, Tiffini was recognized as being a Highly Effective Teacher. She provided on site professional development, and assisted with various leadership tasks. 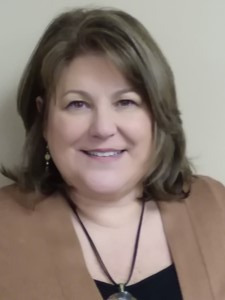 In 2015, Tiffini joined the State Support Team Region 6 staff with a specialty in Positive Behavior Interventions and Supports (PBIS), Special Education (SPED), and the Ohio Improvement Process (OIP). 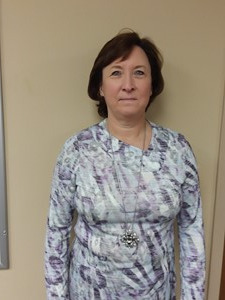 Kim Moritz graduated from Bluffton University with a B.A in Biology and earned a Master’s Degree in Education from Bowling Green State University. She has worked as a high school science teacher in a traditional classroom setting and online. She has taught as an adjunct science instructor at Rhodes State College. Kim has also worked for several educational technology companies. In her current role as Family and Community Engagement Consultant for State Support Team 6 (SST6), Kim combines the experience of being an educator with that of raising a child with special needs. Kim has two children, Matthew and Emma. Matthew was diagnosed as deafblind and non-verbal following a traumatic brain injury in 2010. Through these experiences, Kim has been able to create opportunities to work collaboratively with families and school districts as well as to identify community resources to support that collaboration. Using the strategies she has learned, Kim hopes to help move the work forward in support of students and their families. Becky started working at State Support Team Region 6 (SST6) in 2009 as a School Improvement Consultant. Prior to working here, her background experience included, classroom teacher in various settings and grade levels spanning from second through eighth, Title I reading and math, science and technology integration, Reading Curriculum Team Leader, Federal Programming and Professional Development Director. Both her undergraduate and master's degrees are from The Ohio State University. Becky's special interest is helping schools successfully implement evidence-based strategies that meet the needs of their students and close achievement gaps. Valerie obtained a B.S. degree in Education from Miami University and an M.S. degree in Education from Dayton University. Valerie started working at the State Support Team in Region 6 in 2010 as a School Improvement Consultant. Previous experience includes working as an Elementary Principal, Title 1 Coordinator, District Curriculum Supervisor, and as a Classroom Teacher. Her specialty areas include working with and training others in data analysis, school improvement frameworks, inclusive practices with co- teach/co-serve models, equity and integrated comprehensive services. Mrs. Robb also has experience working with the Ohio Partnership for Excellence in Paraprofessional Preparation (OPEPP). Margo Shipp graduated with a Bachelor of Science degree in Elementary Education (1-8) from Ohio University. She attained a Master of Arts degree in Language, Literacy, and Culture (specialized in reading) from The Ohio State University. She currently holds K-12 Reading and Literacy Specialist Endorsements. For 13 years she taught at the elementary level. Margo was also a district wide Literacy Coordinator for 5 years. At the State Support Team, she holds the position of Regional Early Literacy Specialist. In her role she works with districts to improve student outcomes in literacy. Margo has been with the SST since August of 2007. Kellie Shoffner joined State Support Team Region 6 in July, 2018. She has an A.A.B. in Office Systems and Administration and brings more than 18 years experience in the education field. In her previous roles, Kellie has supported students and educators as an elementary building administrative assistant, paraprofessional, and high school Transition-to-Work supervisor. She was recognized in 2017 with the SEA Friend-of-Education award. In conjunction with typical office manager charges, Kellie has additional areas of responsibility, some of which include posting STARS inservice events, administering participant contact hours, and managing our website professional-development calendar. Kellie is a life-long Region 6 resident and enjoys supporting the region's students and families, educators, and districts through SST6. Cherie Smith began working at State Support Team 6 July 2015. She has a Master of Education in Educational Leadership and the Inclusive Classroom. The bulk of her experience has been in special education as both a supervisor and an Intervention Specialist at the secondary level. She has taught and directed students with disabilities in both Florida and Ohio. Cherie is a member of the Ohio UDL Collaborative. She is also a member of the Universal Design for Learning Implementation and Research Network (UDLIRN) as Chair of the UDLIRN Speical Intererst Group: UDL Implementation. As an SST6 Consultant she supports districts in the Ohio Implementation Process, Universal Design for Learning, Postsecondary Transition, Special Eduation, and College and Career Readiness. Caryn Timmerman is a Speech Language Pathologist (CCC-SLP) employed with State Support Team Region 6 full time since 2012. Caryn’s focus as an SLP has primarily been with students with Multiple Disabilities as well as students on the Autism Spectrum Disorder. Caryn has also been the Speech Language Pathologist Supervisor at Mercer County Educational Service Center. Caryn received her undergraduate degree from Ball State University and her Master of Education Degree from the University of Toledo. Michelle Vandemark graduated from The Ohio State University with a B.A. in Education (Grades 1-8), a Master’s Degree from The University of Dayton in supervision and later earned her principal license. She has worked for 29 years as a teacher, spending most of her career as an elementary and middle school teacher in a traditional classroom. Michelle has also worked as a Literacy Leader and a full time onsite Literacy Consultant. In her current role at State Support Team 6 (SST6) she works with districts as a consultant for the Ohio Improvement Process (OIP). Michelle joined the staff of the SST6 in 2016.